At the meeting point it was easy to see the enthusiasm and the eagerness in everyone’s eyes. 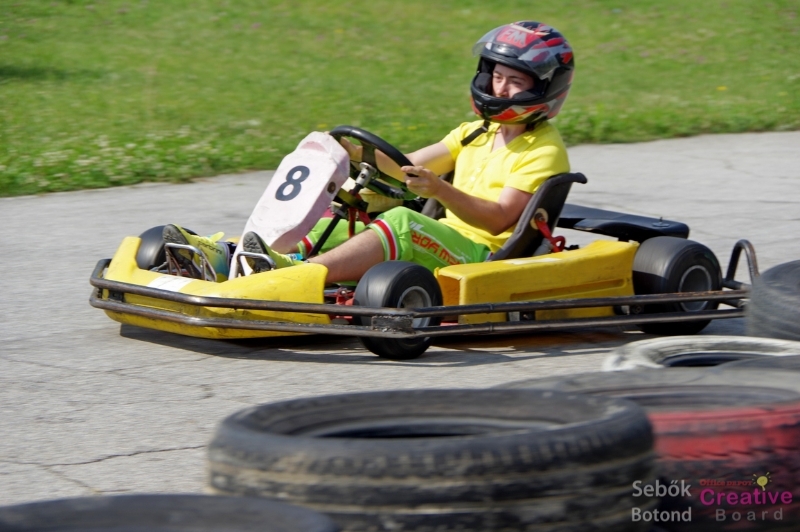 Those who have never seen a karting car before had a limitless imagination of what would await them. 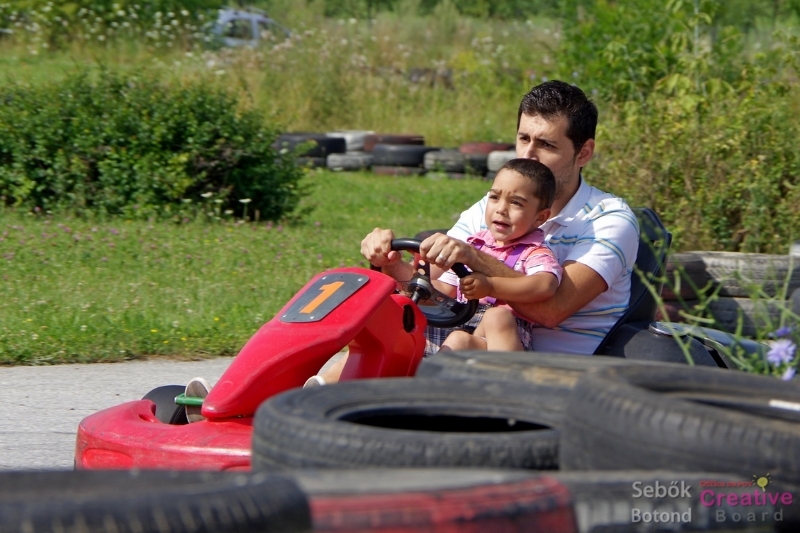 The little ones were excited about driving a car while the older ones talked proudly of how they would drive all by themselves. The plan was to exceed their expectations and give them a day they would not forget. 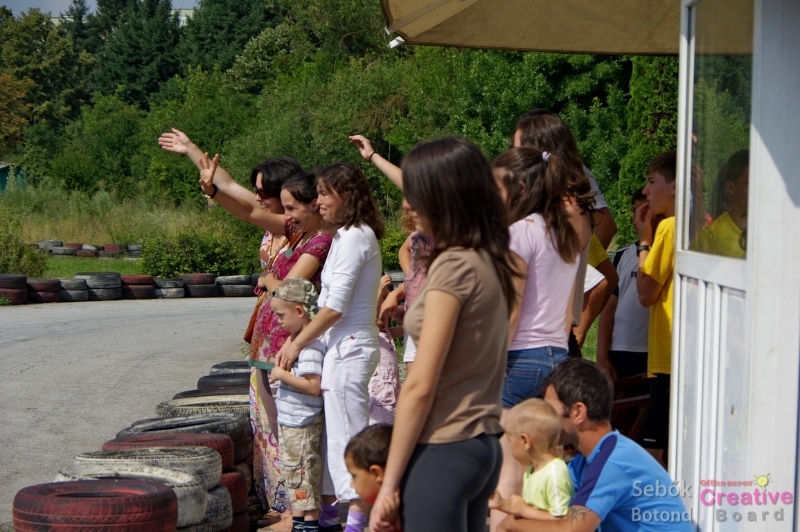 After everyone arrived, we took the smaller children by the hand and strolled to the karting lane close to Iulius Mall. 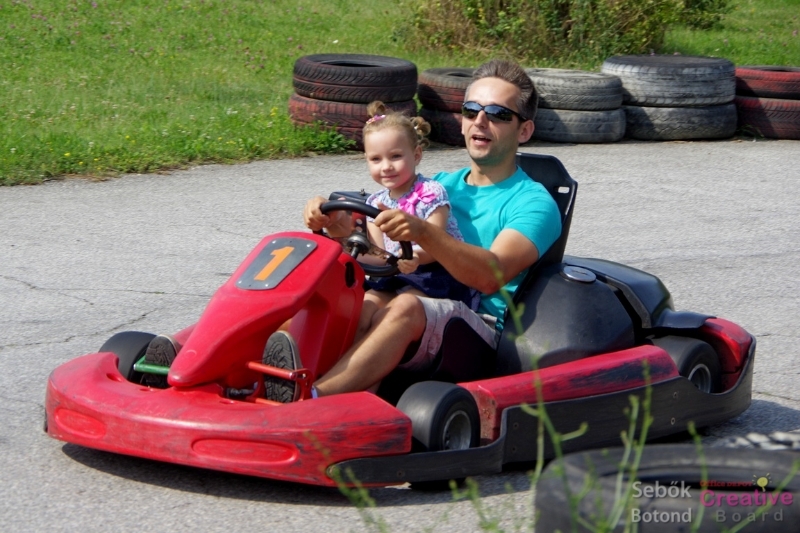 After seeing the first car race by, the excitement really started: big smiles, jumping around, clapping and a lot of impatience to be the next one to get in a kart. 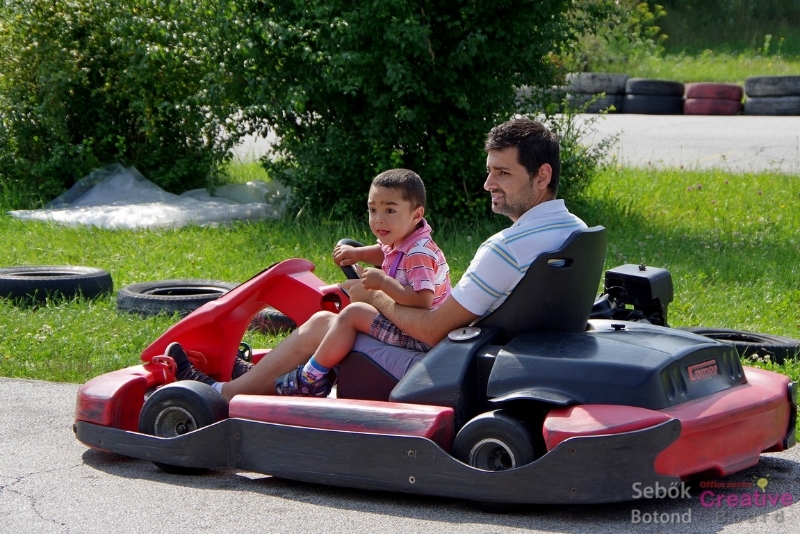 Firstly, the old and brave children from “Aksza” got to go for a ride. 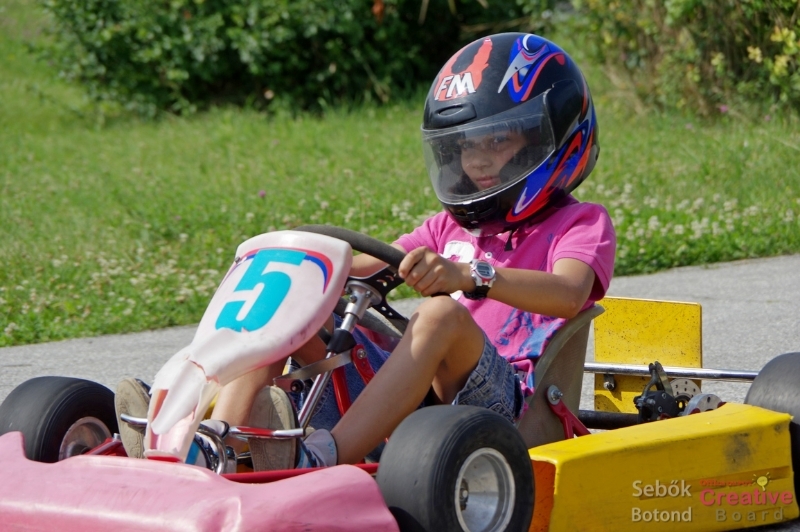 With the helmet on, they looked like mini Formula 1 pilots. 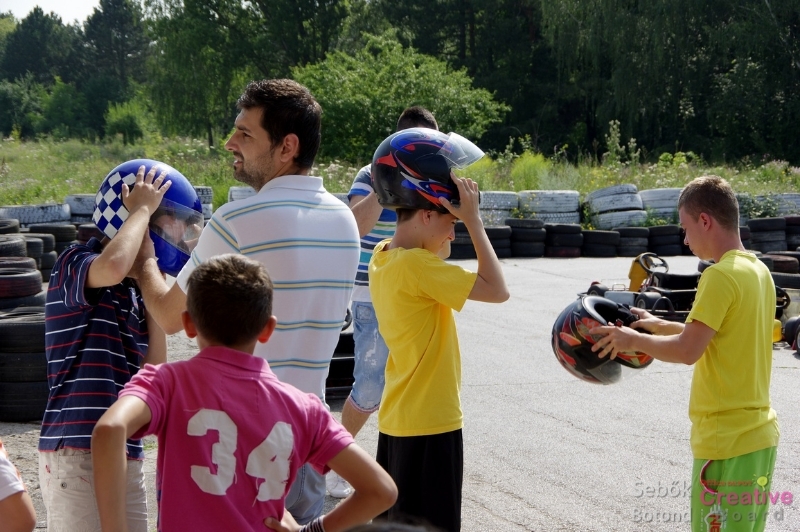 Three individual races took place with or without copilots and with a bunch of cheerful supporters. 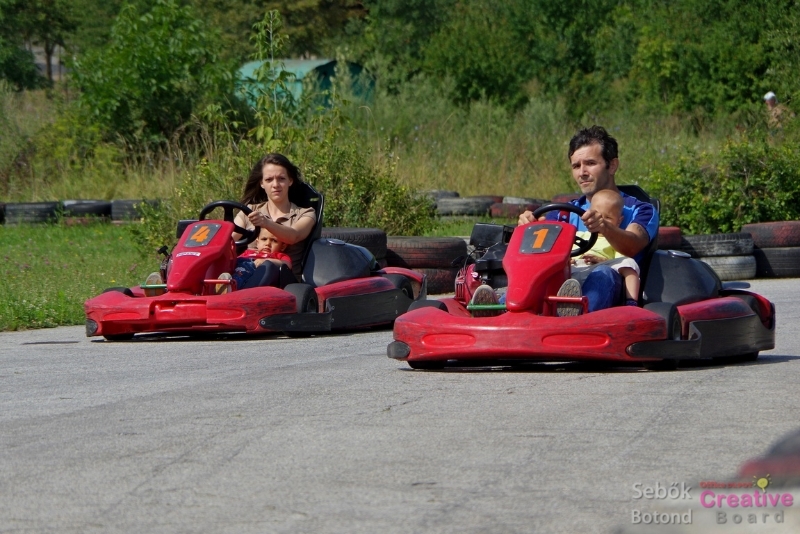 We also stepped a little into the unknown when we took the little ones in our arms and got into a kart. We didn’t know what their reactions would be: will they love it or really love it? J Some of them got on board with a lot of excitement, while to others it wasn’t very clear what was about to happen. It was all sorted out when we saw how much they enjoyed having their hands on the wheel, waving to the audience and how they didn’t want to get out of the car. All of our little copilots were thrilled by the ride! 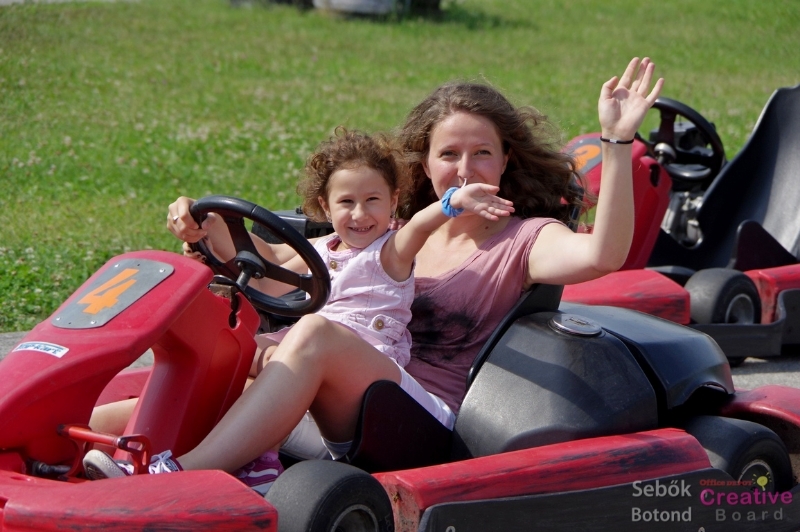 The biggest reward were the smiles on the faces of the children, faces smeared with ice cream and chocolate, which was the reward for their skilful driving. Mission accomplished by the Charity Board!